Berkshire & South Bucks won Division Two for the first time in their history to seal a quickfire return to the top flight of the County Team Championships. Having dropped down from Division One last year, the South East county scored 498 points to lift the Division Two title at Ponds Forge, Sheffield. 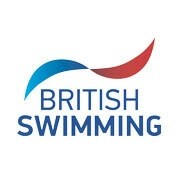 Border rivals Northamptonshire and Cambridgeshire were joint second on 457 while Swim Wales West landed the fourth promotion spot on 456.5. Emilia Sansome was one of the stars of the day for Berkshire & South Bucks, claiming two individual race wins then helping both the girls’ 16/17 Yrs 4x50m Medley Relay and the mixed 6x50m Freestyle Relay to maximum points. “I’m really happy because it’s my last year on the team so it’s great to win and be back in division one,” said team captain Tom Dean, who helped the cause with a second place in the 16/17 Yrs 100m Breaststroke. Wycombe District swimmer Sansome ensured Berks & South Bucks started on the front foot with maximum points in the opening event of the day, setting a PB 56.73 to win the 16/17 Yrs 100m Freestyle. The 16-year old was a comfortable winner in the 100m Back shortly after, finishing nearly two seconds clear of the field in 1:01.85. Sansome’s Wycombe teammate Ellie Cowan was the county’s only other individual race winner on the day, taking the 14/15 Yrs 100m Butterfly. Cowan took her short course PB down to 1:03.06 to win the fly, while she followed up with a third place in the 100m Breast later in the day. Berks & South Bucks’ three relay wins came in the girls’ 12/13 Yrs 4x50m Medley, girls’ 16/17 Yrs 4x50m Medley and mixed 6x50m Freestyle. Full results from Division Two of the 2017 County Team Championships.